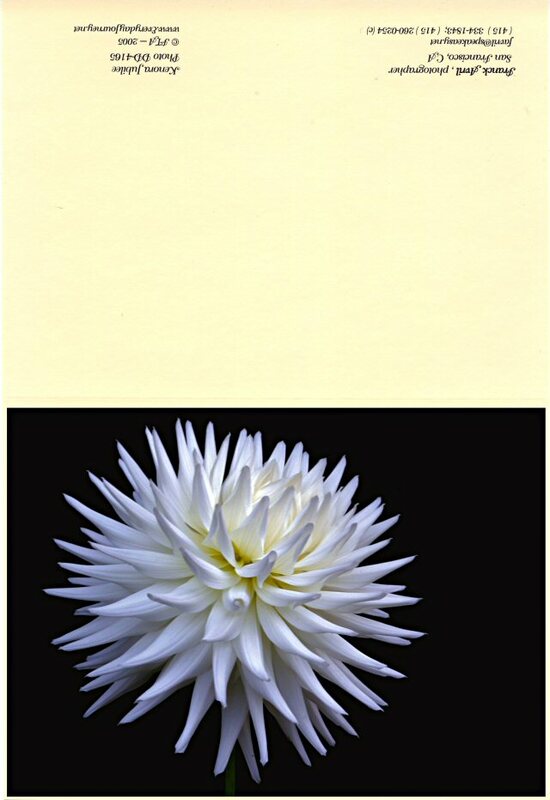 Actual Photo is 6-7/8" x 5"; Smooth-finish Acid-free Ivory-colored Card is 7" x 5-1/8". All cards hand-made (with the exception of our four-color printed cards), using photographs printed by our lab on Kodak Royal Gold photopaper or as long-lasting inkjet custom prints on our own 8-color Canon i9900 printer. With matching Ivory Envelope. Available in either Landscape (Horizontal) or Portrait (Vertical) orientation; Blank inside.